The Bioengineered Organs Initiative is a multi-disciplinary effort focused on constructing longer life. The group is taking a uniquely holistic approach to overcoming the unmet need for donor organs by creating a new generation of long-term replacement organs. 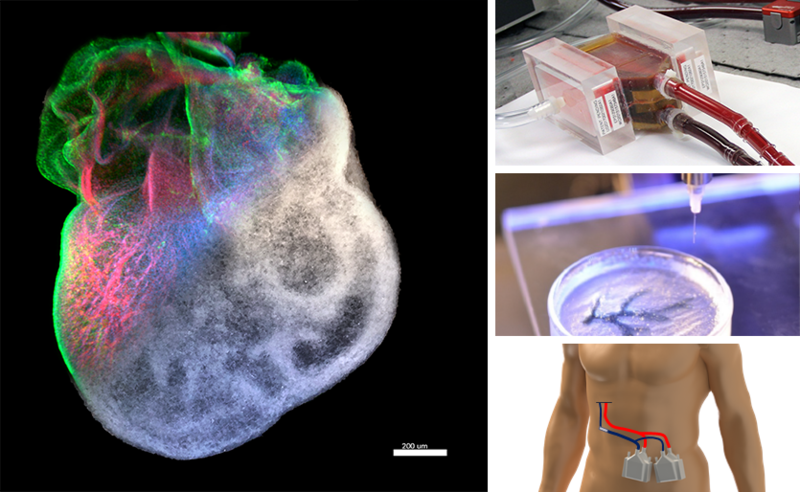 The Bioengineered Organs Initiative recently received a planning grant from the NSF, which will allow them to assemble a full proposal to establish an Engineering Research Center for Advanced Organ Biofabrication. 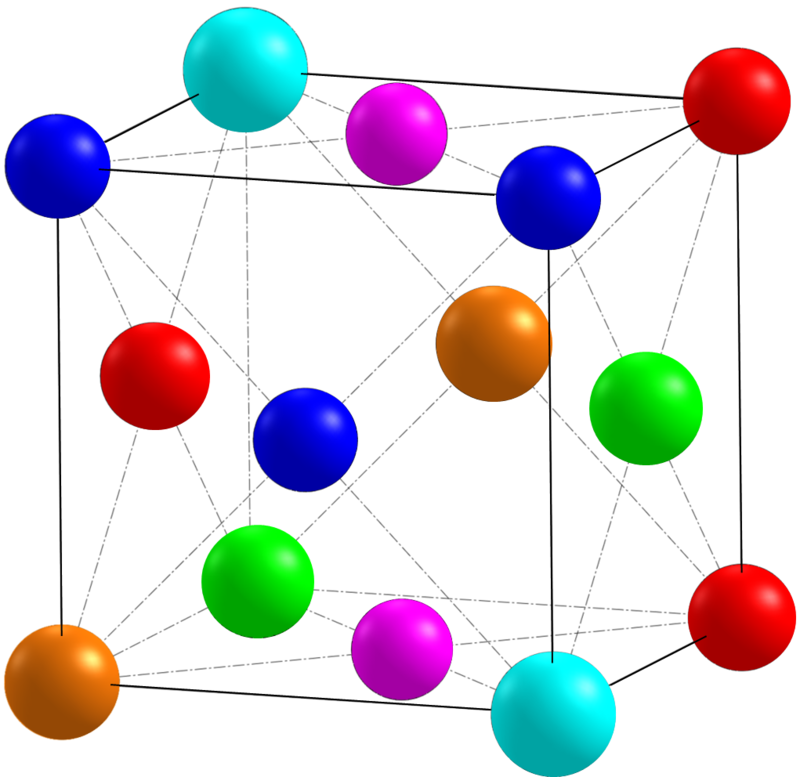 Collaborators De Boer, Poczos, and Webler receive a Manufacturing Futures Initiative (MFI) award to explore high-entropy alloys, a new class of metal alloy. Carnegie Mellon researchers are using tissue engineering and bioprinting technology to develop future alternatives for heart transplants. The team’s work uniquely integrates developmental biology, stem cell science, materials science and engineering, and manufacturing. Working towards permanent respiratory support, Carnegie Mellon researchers are creating devices that are designed to be a long-term solution instead of a short-term option for patients. The team is focused on changing the way patients are one day able receive respiratory support: allowing patients to go home instead of staying in the hospital. With combined expertise in tissue engineering, materials science, cell biology, and micro-manufacturing, Carnegie Mellon is researching and developing 3-D replacement tissue to treat human disease. 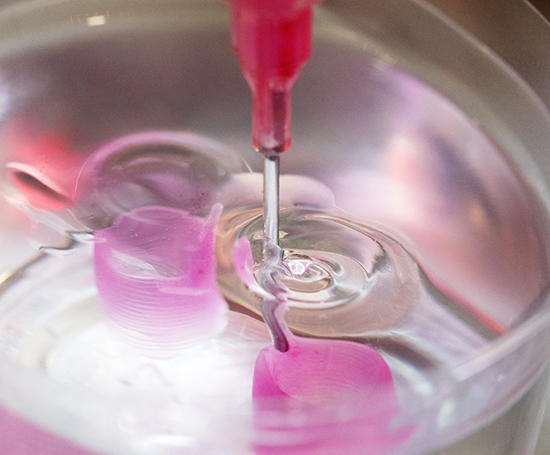 From repairing damaged hearts to fixing impaired vision with bioprinted materials, researchers are working towards a future where regenerative strategies are both a viable and life-saving treatment method. 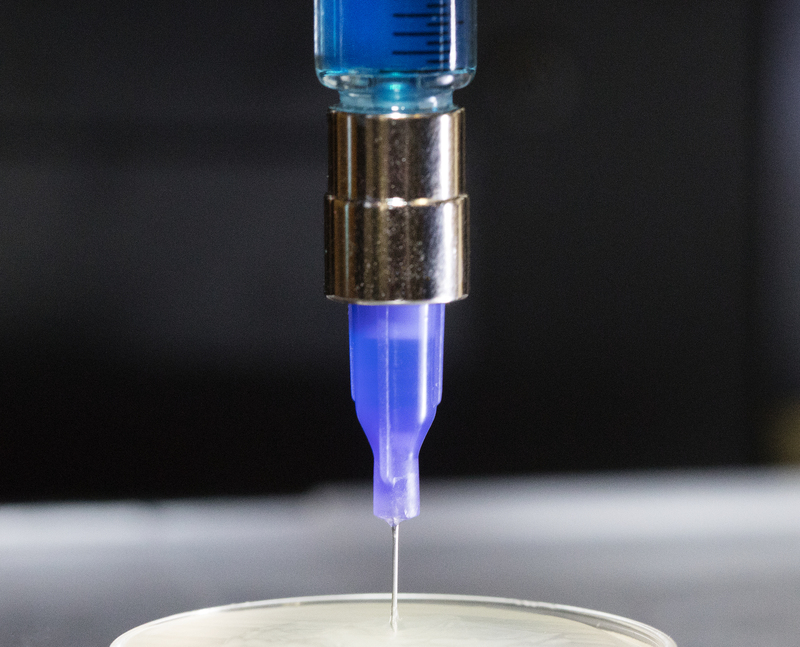 Carnegie Mellon researchers are developing advanced “bioprinters”—3-D printers that are able to print soft biomaterials that may someday lead to the printing of organ parts, or even whole organs, that are compatible with the human body. Carnegie Mellon researchers are focused on developing a host of support technologies for the next generation of long-term replacement organs. This holistic approach is necessary to create fully-functioning long-term replacement organs and to ensure their safety and reliability. The support technologies include mathematical modeling, biomaterials, cellular biomechanics, organ cryopreservation, drug delivery and advanced manufacturing.